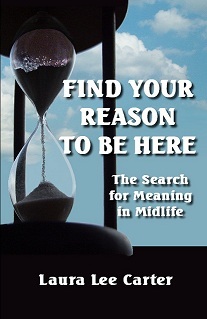 My recently compiled: Find Your Reason to Be Here: The Search For Meaning in Midlife is where I share what I have learned from years of research into the psychological legacy of boomers, where the idea of ‘midlife’ came from, and how boomers can make the most of this unique new stage in adult psychological development. Midlife is actually an amazing revolution in human history, a natural, healthy new rite of passage! 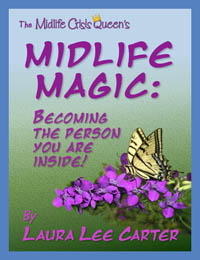 Midlife Magic: Becoming the Person You Are Inside is an exciting journey into positive midlife change, with lots of bonus material! Laura Lee lost her marriage, her job, her career, and almost her home, before she woke up to the fact that things were NOT working out as she had planned. Complete with a reference guide and peppered with motivating quotes and resources, this dramatic story of personal transformation provides inspiration as well as a wealth of information about navigating through crisis to opportunity. Do you ever feel like a loser? Are you ready to feel better RIGHT NOW? 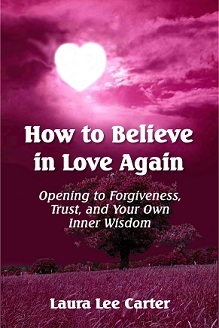 Try this short, e-book and stop feeling like a loser today! Purchase a copy over @ Smashbooks.com. 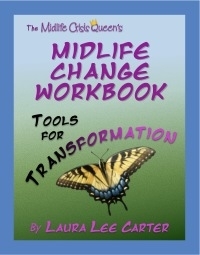 Laura Lee also compiled a companion journal to go with Midlife Magic, called The Midlife Change Workbook. This workbook helps you acknowledge and process your own internal journey as you confront difficult emotional barriers which keep you from giving yourself EXACTLY what you want. Laura, I want to read this book. Where do I get a copy of it?